WHAT is Cased Meat For A Cause? A Girl & Her Food is very excited to Kick off Chicago Craft Beer Week, #CCBW, in style! I can't think of a better way to start #CCBW with some sausage, drinking brews and helping others! I hope to see you there and make sure to say hi! Farm. 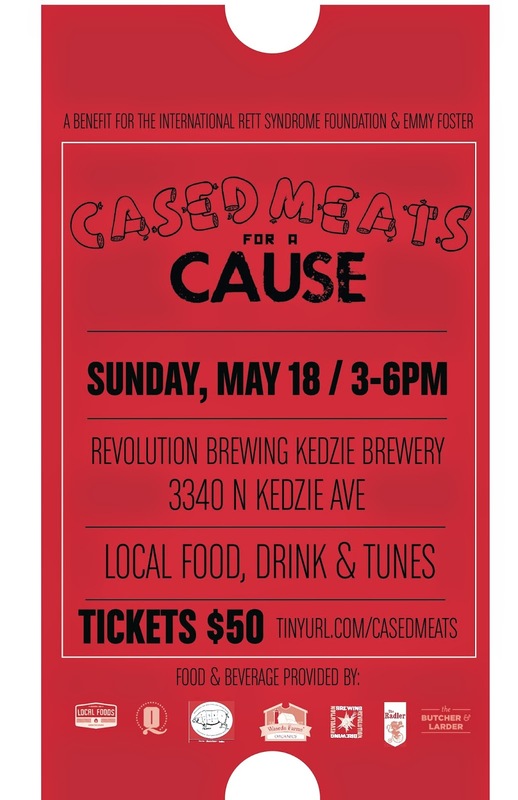 Butcher, Table will present: Cased Meats for a Cause a benefit raising funds for the lives of local families impacted by Rett Syndrome. This event will celebrate the fantastic food, drink and music that the city of Chicago has to offer, along with the lyrical musings of two fantastic Chicago based musical groups, Weepin' Willows and Lawrence Peters Outfit. 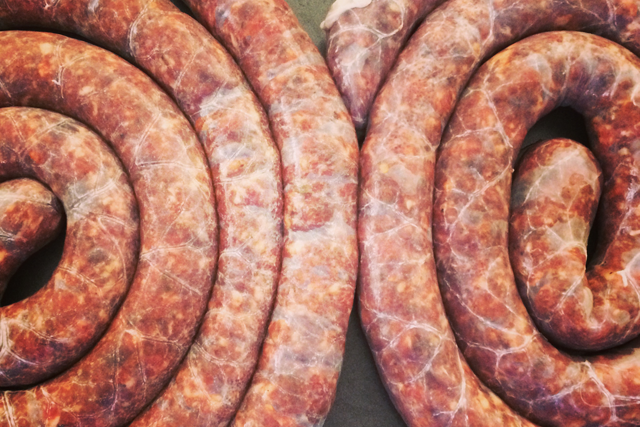 The wonderful folks at Waseda Farms and Local Foods Grocer & Distributor will provide quality ingredients available for Chicago’s renowned chefs to use in creating a veritable smorgasbord of specialty sausages for you to enjoy. To wash the sausages down, the award-winning brew masters at Revolution Brewing will provide a full lineup of their mouthwatering suds. Revolution Brewery Tap Room: 3340 N. Kedzie Ave.
Farm. Butcher. Table has been supporting local charities in Chicago and Iowa for the past 5 years. What started as a small group raising and butchering and preparing their own pork has evolved into working with many of the culinary leaders here in Chicago to hold a 3 day music, bourbon and pork festival in Iowa along with charitable events throughout the year here in Chicago. I was upset I couldn't tour the brewery yesterday, but glad it is for a good causes! Have a great day.